Many credit card companies offer incentives to encourage you to transfer a balance from another card. The most common incentives are no balance transfer fee and a 0% introductory annual percentage rate (APR) for a year or so if you make the transfer within a set time after you first get the card. If you normally carry a balance, transferring your debt from another card to one with a balance transfer incentive could help you manage that debt and pay it off sooner. When you shop for a balance transfer card, you should compare the offers and terms of each card. Factors to consider include the APR after the introductory rate expires, fees, rewards program, and other benefits you might use. Read the disclosures and make sure you understand the balance transfer rules before you apply. While there is no one best balance transfer card, some cards stand out as having benefits that might appeal to you. If a balance transfer card is a good fit for you, these cards might be worth a look. The Discover it® Balance Transfer offers a balance transfer opportunity with an introductory APR that begins on the date of the first transfer. After the introductory period, the APR will be higher and you’ll need to pay a balance transfer fee. If you’re approved for this card, your credit line will be at least $500. If you lose your card, you might be able to get a free replacement the next day. 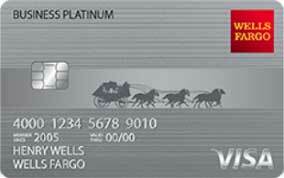 The Wells Fargo Platinum Visa card offers longer than usual time frames for balance transfer requests and the balance transfer introductory APR. The transfer fee is $5 or 3% of the transferred amount, whichever is higher, during the initial time frame. After that, the fee is $5 or 5% of the transferred amount, whichever is higher. There’s no annual fee. Use this card to pay your cellphone bill and you might get some money back if your phone’s stolen or damaged. The Chase Freedom Unlimited® has a balance transfer opportunity with an introductory APR and a balance transfer fee of $5 or 3% of the transferred amount, whichever is higher. There’s no annual fee. You’ll need good or excellent credit to get this card. These balance transfer cards won’t charge you an annual fee, and if you time your balance transfer right, you won’t pay a fee for that either. 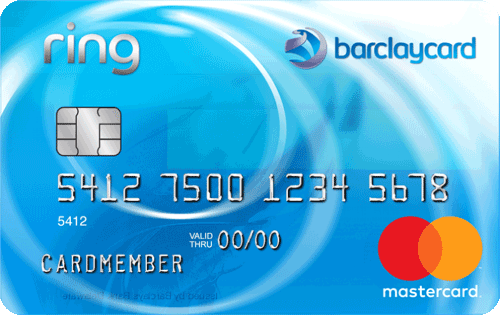 The Barclaycard Ring® Mastercard® has no annual fee, no foreign transaction fees, and two balance transfer incentives: Transfer a balance within a prescribed initial time frame and you’ll get an introductory APR and pay a balance transfer fee of $5 or 2% of the transferred amount, whichever is higher. Or, transfer a balance after the initial time frame ends and you won’t get the introductory APR, but your balance transfer fee will be zero. Transfers can take up to four weeks to process. 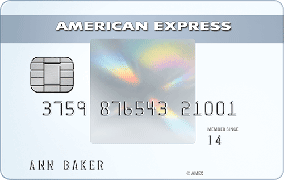 Known as “the card that rewards your every day,” the Amex EveryDay® Credit Card offers cardholders a slew of perks, rewards, and discounts for everyday purchases. Request a balance transfer within 60 days of getting the card and you’ll receive an introductory 0% APR and a $0 balance transfer fee. Transfers can take up to six weeks to process. You’ll also receive 2x points at supermarkets on up to $6,000 in purchases each year and 1x points on everything else. The BankAmericard Credit Card for Students is a great option for those looking to take advantage of a 0% introductory APR with no balance transfer fee. New cardholders will only qualify for the $0 balance transfer fee if the transfer is completed within the first 60 days the account is open. After the initial time frame ends, the balance transfer fee is $10 or 3% of the transferred amount, whichever is higher. The Discover it® Balance Transfer offers a balance transfer opportunity and cash back rewards program that will match all of the cash back you earn within the first year of card ownership. This card lets you earn 5% cash back rewards for up to $1,500 in purchases in rotating bonus categories that you can activate each quarter and 1% cash back rewards for most other purchases. You can transfer rewards that you earn to your bank account, donate them to certain charities, spend them at Amazon.com, or redeem them for gift cards and e-certificates. Rewards program rules and restrictions apply. The Chase Freedom Unlimited® rewards program gives you unlimited 1.5% cash back for new purchases with no category activation requirement. Rewards can be direct-deposited into your checking or savings account at most U.S. banks or you can redeem your rewards for gift cards, travel services or Amazon.com purchases, subject to rules and restrictions. The rewards program for the Chase Freedom® card gives you 5% cash back for up to $1,500 in combined purchases in categories that you can activate each quarter, plus unlimited 1% cash back for other purchases. There’s no annual fee and you’ll get an introductory APR for purchases. If your balance transfer request is approved, you’ll get an introductory APR for your transfers, too. The balance transfer fee is $5 or 3% of the transferred amount, whichever is higher. 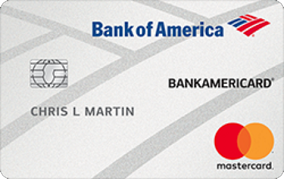 If your business needs a balance transfer card, you might want to check out these offers. You’ll have to pay a balance transfer fee, but you’ll get an introductory APR for your transferred amount. 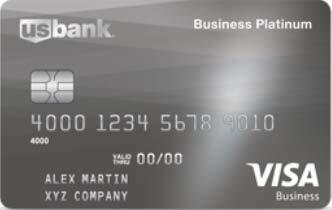 The U.S. Bank Business Platinum Card offers an introductory APR for both purchases and balance transfers up to 20 billing cycles. The balance transfer fee is $5 or 3% of the transferred amount, whichever is higher. There are no rewards offered with this card, as its biggest perk is the 0% introductory APR for new cardholders. The Wells Fargo Business Platinum Credit Card offers an introductory APR for both purchases and balance transfers for the first nine months. The balance transfer fee is $10 or 4% of the transferred amount, whichever is higher. The rewards program gives you 1.5% cash back or 1 point for every $1 spent on net purchases. When you opt for cash back, you’ll receive your cash back automatically as a statement credit each quarter. Rewards points can be redeemed for merchandise, airline tickets, and more. 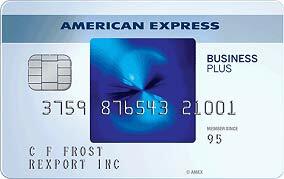 The Blue Business℠ Plus Credit Card from American Express offers an introductory APR for purchases and balance transfers for 12 months. The balance transfer fee is $5 or 3% of the transferred amount, whichever is higher. Transfers can be approved only if within an initial time frame after your account is opened. Transfers are capped at $15,000 or 75% of your credit limit, whichever is lower, and can take up to six weeks to complete. If your credit is less than perfect, there are balance transfer cards for fair credit that might help you pay off your debt sooner. If you have defaulted on a loan within the last five years, you haven’t had your own card for three years or longer, or your credit is only so-so for other reasons, this card might be an option for you. The Capital One® Platinum Credit Card has no annual fee and no balance transfer fee. If you’re approved, your initial credit limit will be at least $300. Make your first five payments on time and you could get a higher limit. You can request a balance transfer within a short time frame after your account is opened. Balances can’t be transferred to this card from Bass Pro Shops CLUB, Cabela’s, Kohl’s, Sony, GM, BuyPower Card, Union Plus, Teamster Privilege or any other card issued by Capital One. Late payment fees top out at $38. If you have a poor credit history, you’re not necessarily out of options for balance transfer cards. A secured card, which requires a refundable deposit, could allow you to access credit, transfer a balance and improve your credit scores. The Capital One® Secured Mastercard® may be a good fit for you if you’ve defaulted on a loan more than once, been declined for a card in the last three months or are rebuilding your credit for other reasons. The card gives you an initial credit limit of $200 with a refundable deposit of $49, $99 or $200, depending on your credit history. Make your first five payments on time and you might be offered a higher limit. There’s no annual fee or balance transfer fee. You can’t transfer a balance to this card from any other card issued by Capital One, including Bass Pro Shops CLUB, Cabela’s, Kohl’s, Sony, GM, BuyPower Card, Union Plus and Teamster Privilege. The maximum late payment fee is $38. Is Transferring a Credit Card Balance a Good Idea? If you transfer a balance, you should be able to secure a 0% APR for the debt you already have. That could help you pay off that debt sooner. But if you still owe the debt when your 0% APR expires, your new rate could be higher than it was before your balance transfer. In that case, it could take you longer to pay off your debt. An introductory rate for a new card or balance transfer must stay in effect for at least six months, according to the Consumer Financial Protection Bureau (CFPB), a federal government agency. But if you’re more than 60 days late with a payment, your introductory rate could be canceled. If you have a history of 60-day late payments, you might not be able to take full advantage of the introductory 0% APR for a balance transfer. Some cards don’t charge a balance transfer fee if you transfer a balance within 45, 60 or 120 days after you open your account. But other cards do charge this fee, and the amount typically isn’t small. A 3% fee to transfer a balance of $10,000 would cost you $300. A 5% fee to transfer the same amount would be $500. It might be better to avoid the fee and not transfer your debt even if you get a 0% APR. Before you apply for a balance transfer card, you should think about whether getting another card makes sense for you. If you’ve maxed out other cards, adding a new one might just give you another way to add more debt rather than help you pay off what you owe. How Do Balance Transfers Affect My Credit Scores? Transferring a balance can affect your credit scores. 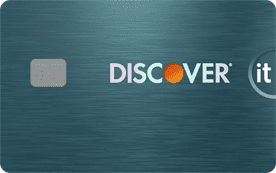 The impact depends on your new card’s limit, the amount you transfer, whether the transfer will pay off your current card, and whether you close that account, among other factors, says Discover Card. Closing an account won’t remove it from your credit history or credit scores. Credit scores are based, in part, on how much of your total available credit you use, how much of your limit you’ve used on each of your cards, and how long you’ve had your credit accounts. Building a longer history and using a lower percentage of your available credit normally should boost your scores. If you apply for a new card, your application will add a so-called hard inquiry to your credit history. One hard inquiry might not make a huge difference in your scores, but multiple hard inquiries can hurt your scores. Inquiries signal to lenders that you’re shopping for more credit and possibly can’t manage your debt. That makes you look riskier. 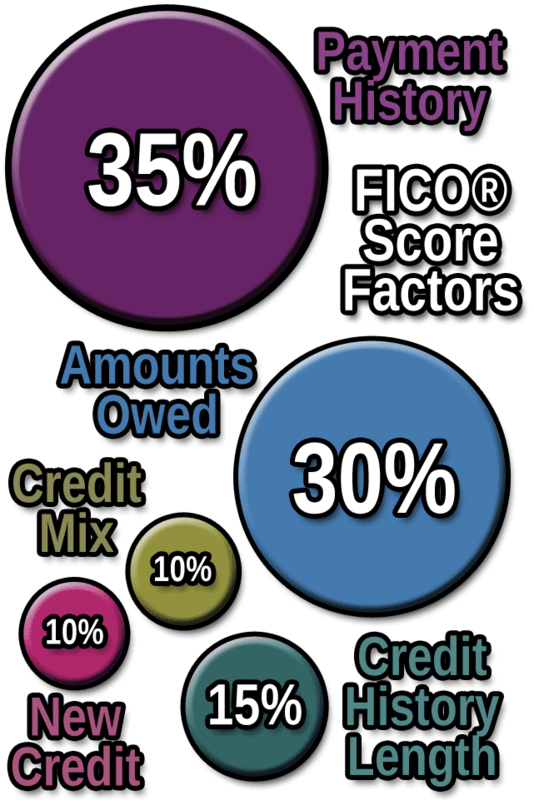 Raising your credit scores takes time and “quick-fix efforts are the most likely to backfire,” says MyFICO.com. What if My Balance Transfer Exceeds My New Credit Limit? If you have excellent credit and you’re able to get a super high-limit card, you might never have to worry about this problem. But if you have a lot of debt and can’t qualify for a new card with a high enough limit to transfer all of it, you’ll have to find another solution. Ask for a higher limit. You’re more likely to get a higher limit when you don’t need additional credit. But if you usually make your payment on time, your new card company might be willing to give you a higher limit that would allow you to transfer more or all of your balance. Apply for another balance transfer card. If you’re able to qualify for more credit, you could open another card account and do another balance transfer. Applying for and opening multiple new accounts could lower your credit scores, however. More cards could also result in more debt, which would make paying it all off harder. Transfer as much of your balance as you can and focus on paying off the portion you can’t transfer first. The risk of this strategy is that you might not be able to pay off your transferred balance before your introductory rate expires. To avoid that, you’ll need to be motivated and have an aggressive, but manageable debt repayment plan. Convert your card debt to a personal loan. You probably won’t find a personal loan with a 0% APR and no loan fees, but you might be able to convert your revolving variable-rate card debt into a good loan with a fixed rate, term, and payment. A personal loan can help you manage your debt if you can discipline yourself not to accumulate more card debt after you’ve converted the debt you have. How Do I Complete a Balance Transfer Between Cards? Once you’ve decided on the best offer terms for your financial situation, you can formally fill out the application and await approval. 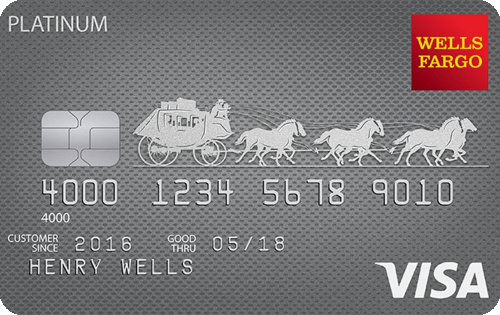 Request your balance transfers to your new card from your existing cards. You may be able to make these requests online. It’s also a good time to review your living expenses and make sure you have some savings set aside so you won’t need to add to your card debt again in the future. Even if you can put aside only a few dollars each month while you’re paying off debt, having at least a little money saved is better than not having any savings at all. Saving some now will also set you up to save more once your debt is paid off. Monitor your requests to make sure they’re completed within the time frame you need to qualify for the introductory APR offer. If you need help, call your card issuer. Continue to make your minimum payment for the debt you want to transfer until you’re sure that transfer has been completed. While you may feel a huge relief once your card balances have been transferred, that is not the time to forget about your debt. Revisit your plan and make sure you’re prepared to stay on track to pay off what you owe. You might not be able to transfer your balance repeatedly from card to card to card, so it’s smart to take advantage of a completed transfer as an opportunity to improve your financial position. The more interest you pay, the longer it will take to pay off your debt by making the same payment every month. That’s why a low or 0% introductory APR can help. With no interest, every dollar you pay reduces your debt by one dollar. If you’re researching balance transfer cards, you should make a plan to pay off your debt. If you don’t have a plan, getting another card, even if it’s one with a great balance transfer offer, might not be the best decision. The goal is not to get more cards, but to have less debt. If I Cancel My Credit Card Will The Interest Stop?